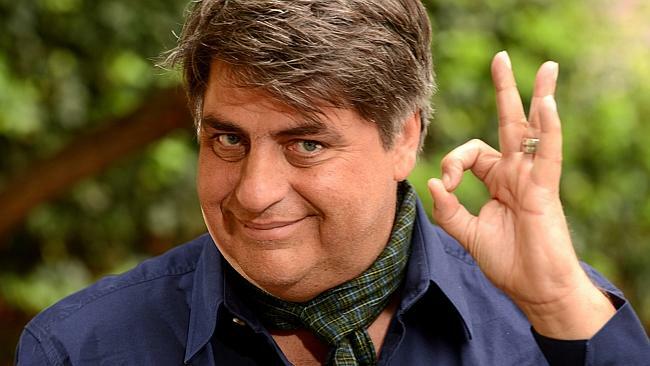 Before gaining fame in the food industry, Matt Preston is rumored to have been a DJ and a punk rock musician. We don’t know the authenticity of this piece of information but we are sure about one thing, MATT PRESTON IS NOT GAY! People really need to get it into their head that when a guy dresses in pink impeccably and has a certain body language, he doesn’t automatically turn into a gay. Sexuality is a preference based concept, not an appearance based. And moreover, our charming 54-year-old chef Matt Preston has been married to the love of his life, Emma Preston, for more than 16 years. And they together have three lovely children. Matt and Emma come out to be two contrasting personalities. But just as opposing flavors sometimes complement each other, Matt and Emma seem as if they balance each other out perfectly. While one could describe Matt as a hearty dish, robust and rich in flavor, Emma is the special touch that elevates his dish to a delicacy. Masterchef Australia judge Matt appears to be a portly man with unconventional dressing sense whereas Emma is an attractive lady with those large blue eyes, long legs, and a sardonic sense of humor. I thought he was probably gay. They first met when Matt was having an affair with one of her closest friends. (Now, Matt’s ex is godmother to one of the Preston Junior, Jonathan). When I started on TV there was a perception that I was a gay man – I was wearing pink shirts and cravats so I was obviously gay. What you’ve got to realize is that what you see on TV is only the tip of the iceberg – in my case, it’s a pretty bloody big tip. But he doesn’t seem to mind other person’s such judgment. It doesn’t bother me they suspect that; it’s wrong that they think that anyone being gay is something they should comment on. Nevertheless, Emma has revealed a bit more about Matt’s intimate affairs. But Matt is probably more feminine than most blokes. Not many men will go out and pick flowers for the spare bedroom if guests are coming to stay. But Matt loves women and women love Matt. All Mum’s friends, all my friends, just adore him. And Matt has even more things to add to that. I love female company. Nothing makes me happier than having a long discussion with women about shoes and dating. Well, definitely not a gay but certainly possessing qualities to be a girl’s best friend- our chef Preston.